Voila on Vacation – Voila! 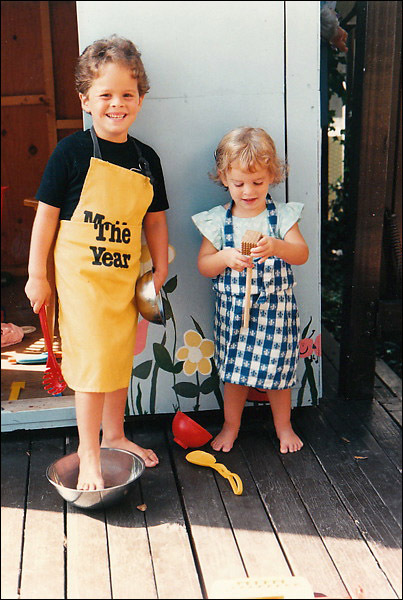 A long, long time ago, Voila (age 2) put on her first apron with her brother Jeremy (age 4) as they played in the playhouse overlooking the hills of Los Angeles, California. Our family is taking some time off in the North Carolina mountains. Have a great week!